Music sensation Yo Yo Honey Singh reveals all the details of his latest celebratory song Makhna. The music composer Yo Yo Honey Singh who is making his comeback in a music video after a short break had got everyone excited to witness the king of party tracks back on screen. The song composed by Yo Yo Honey Singh has vocals of Yo Yo Honey Singh, Neha Kakkar, Singhsta, Pinaki, Sean, Allistair and lyrics by Yo Yo Honey Singh, Singhsta and Hommie Dilliwala. 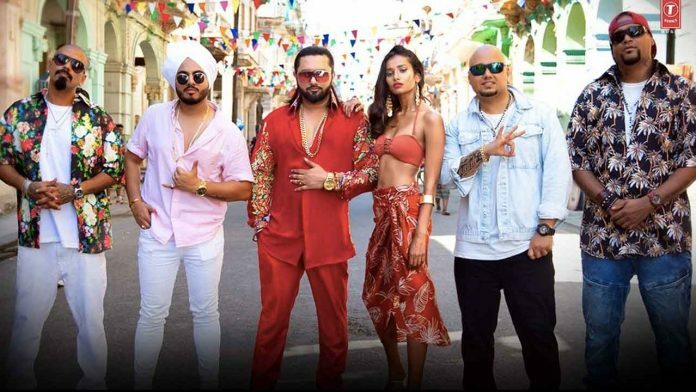 With a touch of reggaeton beats from the Latin origin, Yo Yo Honey Singh’s latest song is titled Makhna which means lover in Punjabi. Makhna offers a carnival feel instantly lifting your mood and forcing you to hit the dance floor. Since the team wanted to get a carnival look to the video, they decided to shoot in a Latin country like Puerto Rico or Columbia. However, they finally selected Cuba, as the location and the vibe of the place is yet unexplored in India. Directed by Spanish Director Daniel Duran, Makhna took 7 months of creative planning before the shoot. There has been immense anticipation amongst fans across the nation for the comeback song by the nation’s favourite Yo Yo Honey Singh. However, while on his break, Yo Yo worked upon almost two dozen songs and some of it even released this year. The music composer began the year with a bang treating the audience with not just one but two chartbusters ‘Dil Chori’ and ‘Chote Chote Peg’. Further, Yo Yo also presented party anthem like ‘This Party is Over Now’, ‘Rangtaari’ and ‘Billionaire’. The last single by him ‘Urvashi’ created immense noise turning an instant hit amongst his fans. Makhna will not only witness Yo Yo Honey Singh making his comeback but also introduce various new talents. Back in 2003 when Yo Yo Honey Singh hadn’t started rapping, he would jam with a group called TDO (THIRD DEGREE ORIGINALS), the composer then would only make beats while the group would rap in English. Yo Yo always believed in making music for others. After almost 15 years, Yo Yo collaborated with the group to launch them in Makhna. The music composer has time and again supported as well as promoted new talent, with Makhna, Yo Yo Honey Singh yet again paves a way for new singers. So tap your feet with Yo Yo Honey Singh on the sizzling number ‘Makhna’ this December.